It’s official! 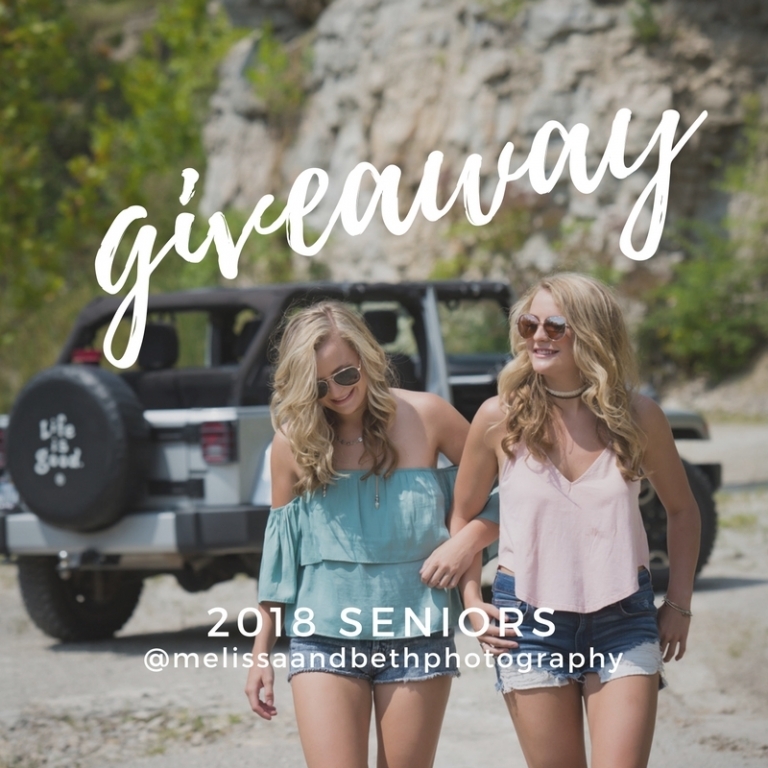 Our new SENIORS page is up and running on the website, and to celebrate, we are hosting a GIVEAWAY over on Instagram! We’ll be selecting one follower to receive a photo shoot with up to 5 friends! Find @melissaandbethphotography on Instagram and give us a follow. LIKE the GIVEAWAY image (the same image shown above) and tag two or more of your friends in the comments. That’s it! A few quick clicks, and you are all entered to win a Best Friends Session! Tune in to Instagram on Monday, September 25th to see us announce the winner!! You must be a 2018 High School Senior to enter. The winner of the giveaway will receive a photo shoot with up to five friends and an online gallery with 15 edited high resolution digital images. Friends chosen must be high school students, but do not have to be 2018 seniors. To be eligible to win, you must complete all 3 steps no later than September 24, 2017. Winner will be chosen at random and announced on Instagram on September 25, 2017. Session must be scheduled and completed no later than November 3, 2017, and will take place within Kansas City or surrounding area.